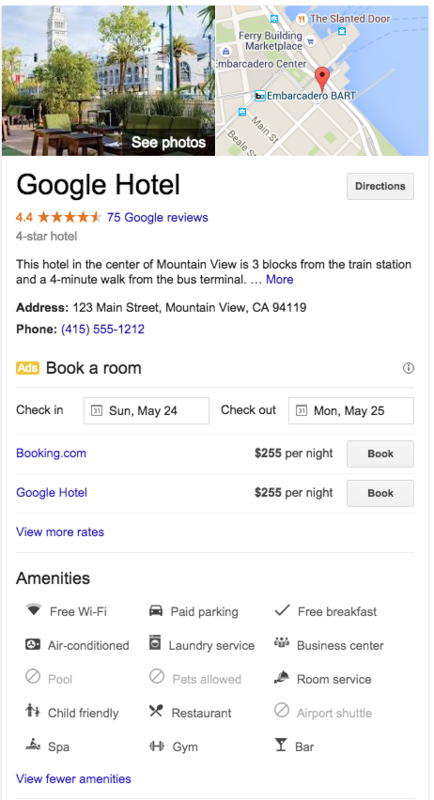 Google has added hotel amenities to the hotel knowledge graph box. 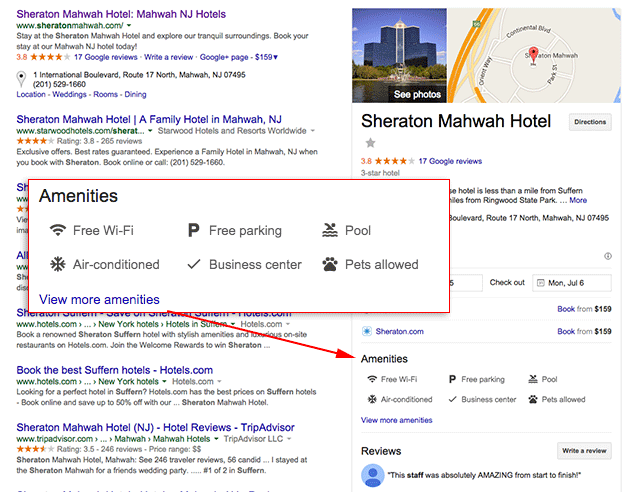 Brad Brewer posted this on Google+ showing an example, but here are some additional examples showing how Google may list amenities such as Free Wi-Fi , Free parking, Pool, Air-conditioned, Business center and more. Google recently also added a help document about this saying they source these amenities from various sources. Mike also covered this and added the amenities afterwards.